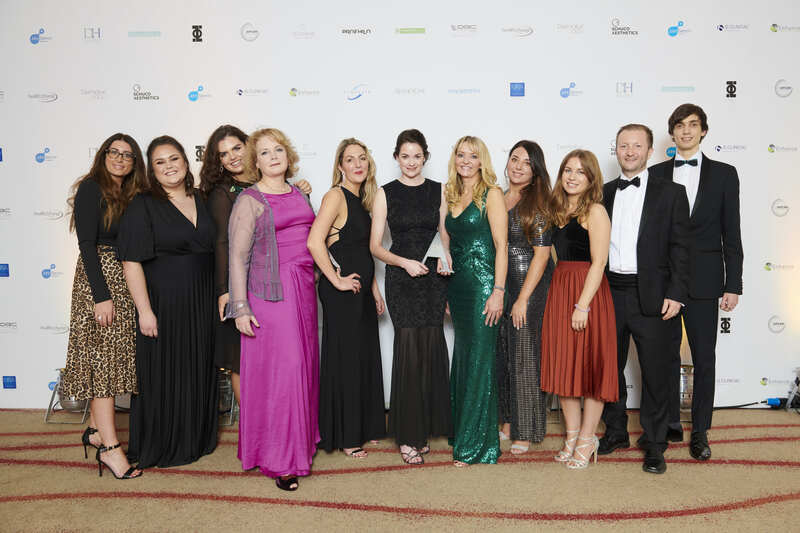 This award will be presented to the independent training provider whose training programme is considered to have advanced the education of medical aesthetic professionals most effectively during the last 12 months. Judges will look for engaging methods of delivery, a high-quality, generic programme, a continuous development programme and achievement of measurable outcomes. The winner will be selected from the finalists using a combination of Aesthetics reader votes and judges scores. Voting will constitute a 30% share of the final score. Cosmetic Courses lives by the ethos experience, quality & success, which runs through the heart of our teaching. Our passion for the exciting world of aesthetics shines onto our training offering medical professionals comprehensive hands on experience with industry expert trainers. Our training programme is designed for registered medical professionals including Surgeons, Doctors, Dentists and Nurses from both the UK and overseas. From experience, we understand that people thrive in different learning environments, so flexibility is key. To help our delegates learn in the best way and be safe practitioners, we are able to offer one-to-one tuition, small group sessions as well as online training that can be completed from the comfort of their own home. We train within 7 state of the art clinical training centres with our national training centre situated in Buckinghamshire, a centre which was purposely built for us in early 2018 to help accommodate our growth and adhere to the high standards set with our training. Led by internationally recognised Plastic Surgeon Mr Adrian Richards, we provide over 22 CPD certified practical courses. These include the more established anti-ageing injectables as well as skin rejuvenation techniques such as PRP Therapy and Microsclerotherapy. We have also invested a lot of time in creating an OFQUAL-accredited Level 7 Certificate in Injectable for Aesthetic Medicine along with our online learning platform providing a multi-faceted learning experience. With a combination of presentation, video, demonstrations, games quizzes and reading material there is something to suit every learner. Medical and Aesthetic Training Academy (MATA) delivers educational training courses and qualifications across the spectrum of cosmetic interventions, including laser/light based treatments, injectable therapies and non-surgical hair restoration. With programmes from foundation level (L3) through to postgraduate level (L7). MATA’s learners include doctors, dentists, nurses, other healthcare professionals and aesthetic practitioners – all of whom can benefit from MATA’s academically robust, evidence-based training and educational events. MATA is an Approved Centre with two UK recognised Awarding Bodies (Eduqual and CIBTAC),and all its courses and qualifications are developed in line with sound pedagogy with learning outcomes mapped to current guidance and recommendations for cosmetic interventions, namely the Joint Council of Cosmetic Practitioners (JCCP) framework of educational competencies and the clinical and practice standards developed by the Cosmetic Practice Standards Authority (CPSA) (2018). Programmes are delivered via ‘blended learning’, proven to enhance the learning experience through innovative, engaging and interactive on-line learning, supported with face-to-face (F2F) tutor led clinical and hands-on sessions. This approach allows learners to develop in-depth knowledge that can be safely applied in the clinical setting. Our training facilities include CQC and Local Authority registered premises in Harley Street, Burnley, Manchester, Cardiff and Glasgow. Having access to a number of high quality teaching and training clinics around the UK ensures allows MATA to offer learners safe, secure and compliant facilities in which to deliver patient-centred treatments, and to provide suitably screened ‘volunteer patients’ keen to receive treatments from practitioners under the expert tutelage from our clinical tutors. SkinViva Training are an accredited training provider in Botox and Dermal Fillers. And we’re super proud to have created the most caring, sharing and most of all safe environment to gain the practical skills and core knowledge required for trainees to consult their patients effectively and inject safely using the very latest techniques. Carrying out around 500 injectable treatments per month, our Doctor and Dentist-led training team are highly skilled and experienced Aesthetic Clinicians. Each one working within our SkinViva clinic. In fact, it’s important to us that their role at SkinViva and SkinViva Training is shared, to ensure they are able to keep their skillset in line with the market and pass on their learnings to delegates. Our key USP is the SkinViva Trainee Network, which is a private forum on Facebook that delegates are invited to once they have trained with SkinViva Training (free of charge). Now nearly 1500 strong, we have created a non-judgemental culture where delegates are able to ask ANY question to ensure the best possible outcome for their patient – whether that be for support, complications, reassurance or just advice on how to treat. We welcome all medical professions to come and train at SkinViva Training – including Doctors, Dentists, Nurses and Midwives. We have also welcomed more recently Paramedics, Dental Therapists/Hygienists, Pharmacists and Physiotherapists as we believe their knowledge of injecting and the facial anatomy is at a level competent enough to administer treatments in the patients best interest and safety. Based in Castlefield, we’re on the edge of Manchester City Centre and provide a key location for delegates to arrive via all major means of transport. Our target audience comprises doctors, dentists and nurses who hold active registration with the relevant governing bodies and have a keen interest in facial aesthetics. Our expert faculty of Level 7 accredited plastic and maxillofacial surgeons, medical doctors, award-winning dentists and senior nurses utilises the talent and experience of various professions to deliver training which is accessible and inclusive to all delegates. 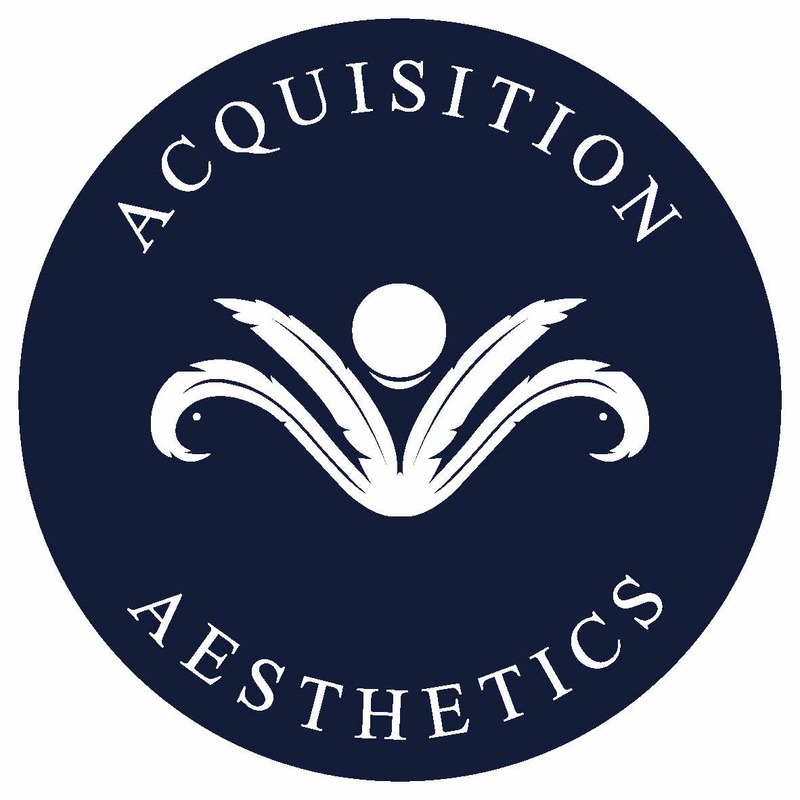 With affiliations to the Royal College of Surgeons, Industry Qualifications and the British Association of Oral and Maxillofacial Surgeons, Acquisition Aesthetics has developed a world-class training programme. This is assured through regular review by a senior board of Consultants. Our courses are located at 30 Euston Square, London (Home to the Royal College of General Practitioners). This venue is ideally suited to cater for medical training courses as well as providing ease of access to main rail networks. Our training days comprise 2 elements – theory, where we ensure deep understanding of the anatomy and physiology of injecting, and practical sessions. We pride ourselves on providing copious amounts of hands-on experience, observing and performing procedures in 1:3 trainer to delegate groups. Our delegates are granted lifelong access to online resources comprising e-learning modules and videos. Graduates also gain access to our 24hour helpline which is manned by our faculty of experts. The graduates’ discussion forum provides a safe and supportive platform for questions, ideas and interesting cases, encouraging greater communication and transparency in the aesthetics field to ultimately improve patient care. The Aesthetic Training Academy is the only Health Improvement Scotland (HIS) registered and regulated aesthetic medicine training centre. The ATA’s facilities are based in the heart of Glasgow City’s centre, providing ease of access for all training participants. The facility has been specifically designed to provide a range of training spaces, from multiple classroom and excellent clinical settings, through to a large Clinic Skills Room with 6 clinical workstations. The ATA’s delegates are all qualified doctors, dentists & nurses who wish to train in medical aesthetic treatments. The ATA provides courses designed at Level 6 & 7 to increase skills and attendees’ knowledge base. Courses are a mix of didactic teaching, demonstrations and hands on training. The vast majority of courses contain hands-on, practical elements, combining a 50:50 split between classroom learning and observation and the supervised practice of skills. ATA training sets clear intended learning outcomes for: toxins, filers, chemical peels, microneedling, thread lifts and complications management. Our modular courses range from introduction and intermediate, to advanced, with additional masterclasses for the most experienced delegates. This allows “new to the specialty” delegates to start at the beginning and work their way through and experienced practitioners to access those areas they wish to develop in. A clear pathway for training progression is offered, with appropriate training, treatment logs and learning reflections used to assess and evidence attendees’ experience. All ATA training is CPD approved and insurance recognised, and meets nationally set standards within an independent, non-sponsored format. The Avanti Aesthetics Academy has risen to the forefront of medical aesthetics training over the last 4 years. We are a teaching organisation that stands apart with its comprehensive training and support on a wide range of aesthetic procedures. From our experience traditional one or two day courses leave delegates with very little confidence in carrying out procedures. All delegates who wish to learn botulinum toxin and dermal filler treatments at our academy will start with our “Fundamental 5 Course” covering upper and lower face botulinum toxin, dermal filler for cheek augmentation, nasolabial folds, marionette lines and lip augmentation with safe needle and cannula techniques. Anatomy and complication management are both extensively covered on courses. Our advanced dermal filler course includes non-surgical rhinoplasty, tear trough and full-face volumisation. Delegates can also take advantage of our PRP, PDO threads, chemical peel, non-surgical blepharoplasty, fat dissolving injection and Sunekos dermal regeneration courses. We regard aesthetic treatments as medical procedures and hence should only be undertaken by medical professionals. As our commitment to safety within the industry we only train doctors, dentists and prescribing medical nurses in providing non-surgical facial aesthetic treatments, unlike the majority of other training providers who train non-prescribing allied health professionals and non-medical persons. All courses are held at our specially designed training suites situated in the heart of London’s medical district, Harley Street. Our Academy has also become a hub of aesthetic training excellence with some of the biggest aesthetic companies choosing to train from our facilities. Inspired Cosmetic Training was established in 2010 and has an outstanding reputation for providing high quality medical aesthetic training for registered Dentists, Doctors and Nurses. In 2017/2018, 100% of our course delegates rated their training with us as either ‘very good’ or ‘excellent’. We provide a wide range of courses from foundation level to advanced level on: Botulinum Toxin Type A, Dermal fillers, Skin Peels & Genuine DermaRoller. Our multi award winning course director Mr Taimur Shoaib, Consultant Plastic Surgeon and his carefully handpicked team of expert medical aesthetic trainers are dedicated to providing course participants with the highest standard of teaching and training content as well as providing on-going support and further learning opportunities to assist students throughout their aesthetic career. Training only takes place in facilities registered with Healthcare Improvement Scotland, including multi award winning clinic, La Belle Forme. Dermal fillers: Nasolabial folds, marionette lines and lips. This course, as with all our training, is taught through a structured programme of lectures, discussion, demonstrations and “hands on” practical using live models under close supervision. Our foundation course provides those new to aesthetics with the knowledge and clinical skills to treat patients safely and achieve optimal results on foundation level techniques. Business and marketing aspects are also covered, with an emphasis on ethical and legal marketing.